If you own a business and can’t quite figure out how to reach your desired customers in the most efficient way then you have come to the right place. Today, with the help of this article, I’ll be showing you some of the best and handy apps and services you can make use of to boost up your outreach to your desired customers. Now, when we talk about social media business marketing apps, we must first understand that we need to divide the concept of social marketing into two wide categories. The first involves the use of social networking apps. The second involves the use of certain content creating apps which will greatly help you to make your content just right to attract a wide range of customers for your business. Using all these apps, you’ll ‘have just the right bait to bring in your most needed traffic. Before we go to the main content of the article today, let me just point out a few of the most important points you must remember before you start on your “Social Media Marketing” journey. Firstly, you must understand that when you jump into the world of the internet and social media, you must really be able to adapt quick. For instance, let us take for consideration the type of content. Today, you will mostly find people interacting with images and video content like GIFs, infographics, and short videos. And why wouldn’t they? It is easy to view, understand and grasp. No one would want to sit over a long article when you can understand the same content in a much easier way — it’s just obvious. Secondly, you must know how to create original content. This one is the most important of them all. Until and unless you have a well-verified and produced content, the dream of bringing in your ideal customers is a far away journey. Thus, we really advise you to come up with a content which is original, rich, and provides your customers all the information they need to understand your product better, the best example is the Redbox TV creator. 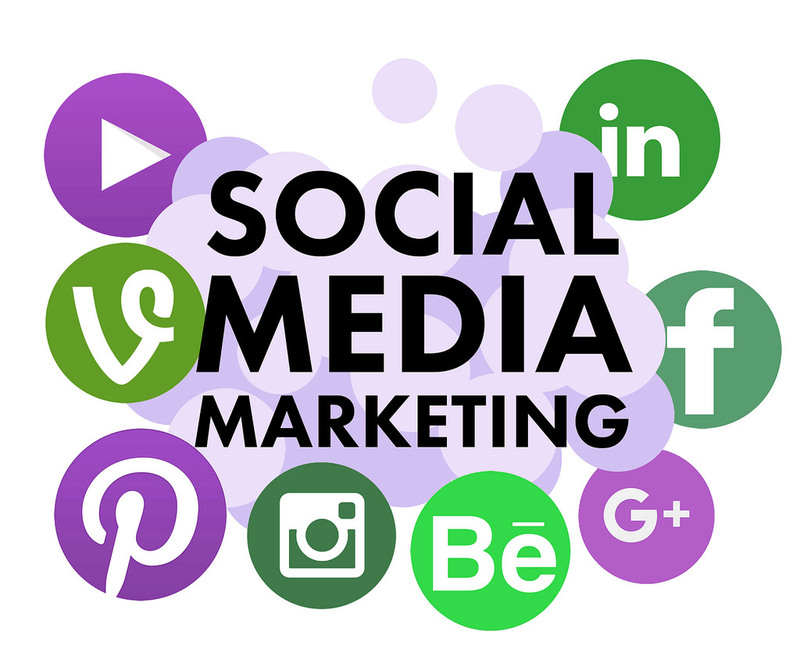 So, without any further delay let us go through all the top 5 latest social media business marketing apps you will need to start off your journey to promote your business over the internet. Facebook also lets you place your ads with features which helps you target your desired customers efficiently and with better probability to convert them into your potential customers. If you are a bit low in budget, you can limit your outreach to a very selective audience for better conversion. Or, if you have the budget, you can simply place ads to reach to a wider variety of customers. Like I have mentioned earlier, you must have attractive content if you are willing to pique more interest. And, there is no better place to share good looking content than Instagram. With its awesome video and picture editing features, you can easily create rich content and share them without too much difficulty. However, you will need to invest some time into building a following. The more followers, the more reach. Also, like Facebook ads, you can create your own Instagram ads. The process of creating and sharing ads is quite simple. Plus, the Ad Manager lets you create and run ads on both Facebook and Instagram. Launched in the year 2010, this app has come a long way. If your target audience is mainly women, then this is just the right app for you. Pinterest, in its earlier years, became quite popular among women from all ages due to its easy DIY, small scale, picture and video creating and sharing capability. Now, lots of business use Pinterest to create their own DIY content and other content and attract customers. Currently, it’s comprised of more than 200 million monthly users. Also, you need not always be a Pinterest user to be able to view content uploads. You can also find Pinterest content over search engines like Google, Bing, and Yahoo. Hence, it’s not just limited to only Pinterest users. So, if you are looking for an app to showcase your product in front of the entire world, this is just the perfect app. The Canva service is something you might need to create your own attractive pictures and infographics. Now, not everyone can possibly be a pro in Photoshop or GIMP. Many a times you just need to get the job done within the limited time and budget constraints. In such situation, CANVA can just prove to be the perfect choice for you. If you are looking for a free and easy app to design your own infographics and Picture content, there is nothing better than Canva. It offers a huge number of pre-built designs and layouts which you can easily use to come up with your very own content. This app saves you a lot of time and money and still provides you the same professional looking content you would have gotten from hiring a professional. Just as the name suggests, this app makes your life a whole lot quicker when you are creating your own video content. When you are talking about creating easy free and fast video content, then QUIK without doubt, is the best option. Not only video, but with Quik’s help, you can easily create and edit photos and pictures and make them look professional and attractive. This Android and iOS app lets you create rich content anywhere, anytime. Thus, making your life a whole lot easier and less costly when it comes to creating your very own video content for your business. The only limit is your imagination. Ella is a marketer and a blogger who writes about social media, apps, SEO, and SEM.